The motion sensor itself is an infrared sensor. In fact, the name of the sensor is a Passive InfraRed or PIR detector. It works by constantly monitoring the infrared radiation (IR) in the cameras general field of view. When a sudden change in this radiation occurs, the sensor can detect it, and assumes it is caused by an object in motion. The PIR motion sensor is connected to a relay switch so that when motion is connected, the relay switch turns on the camera to being recording. The recording session ends when either the motion has stopped or after a pre-programmed period of time after the motion has stopped. • How do these cameras detect motion? • How does the wireless function work and why would I need it? • What provides the power for this camera? • Can I install this camera myself? • Does this camera produce color or black and white video? • How do I record the video from a motion activated wireless security camera? In the following article we will answer these questions and provide you with some general background knowledge concerning a motion activated wireless security camera. A motion activated wireless security camera is a digital video camera that contains a built in motion detector. When the motion detector senses motion, it turns the video camera on so that it may begin recording digital video images. 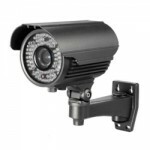 This means that the camera is only recording video images when the motion detector senses movement. Digital video images are basically the same thing as digital photographs however they are taken very rapidly in succession. High quality fluid motion is created by taking up to 30 photographs (in video talk these are called “Frames”) per second or 30 FPS. Digital video then is basically many (on the average depending upon the total length of recording time) several thousand to hundred thousand photographs. Imagine the size of a data file for one high quality digital photograph. Now multiply that times 300,000 for example, and that’s how large the digital video file could be. A digital video camera running constantly at 30 FPS, that creates 1 Megabyte(MB) of data for every frame, creates 30 MB per second or 1.8 Gigabytes (GB) per minute or 108 GB per hour. Using one camera constantly with a 500 GB Digital video Recorder or DVR, would use up all the disk storage space in less than 5 hours recording time. A motion activated wireless security camera however, only records video when motion is detected. When used properly, this greatly reduces the size of the digital files and conserves DVR storage space. A second benefit of using a motion activated wireless security camera is power conservation. A motion activated wireless security camera may not be totally wireless. Although these cameras use radio signals to send their video data to a receiver of DVR, they still must be supplied with low voltage Direct Current (DC) power. This is usually accomplished by using a power distribution center and running a small wire from it to each camera or by using a plug-in outlet transformer and running a wire from it to the camera(s). However, there is a third option for providing electrical power to the camera as well. Some cameras can utilize rechargeable batteries. These cameras use very little power for the constant “on” state of the PIR sensor. The greatest power drain on the system is when the camera is actively recording. Therefore a motion activated wireless security camera can also greatly conserve on power consumption and therefore extend rechargeable battery usage periods, another great benefit of this type of camera. The camera is easy to install and operate so any “do-it-your-selfer” can install and operate the camera. Once the camera is mounted, and the system is set up, the camera will automatically begin functioning, sending digital video data to the DVR so that the video data can be stored on the hard disk drive. A motion activated wireless security camera has many other features and options that make it a powerfully versatile security tool. In addition, the camera can record in black and white or high quality color. This should provide you with some basic knowledge about a motion activated wireless security camera. 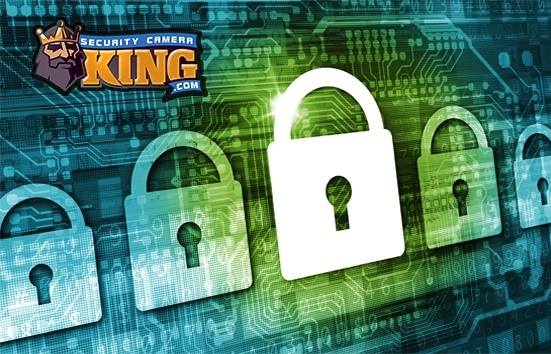 If you have any addition questions or would like to purchase a camera or system, please contact one of Security Camera Kings security experts today.